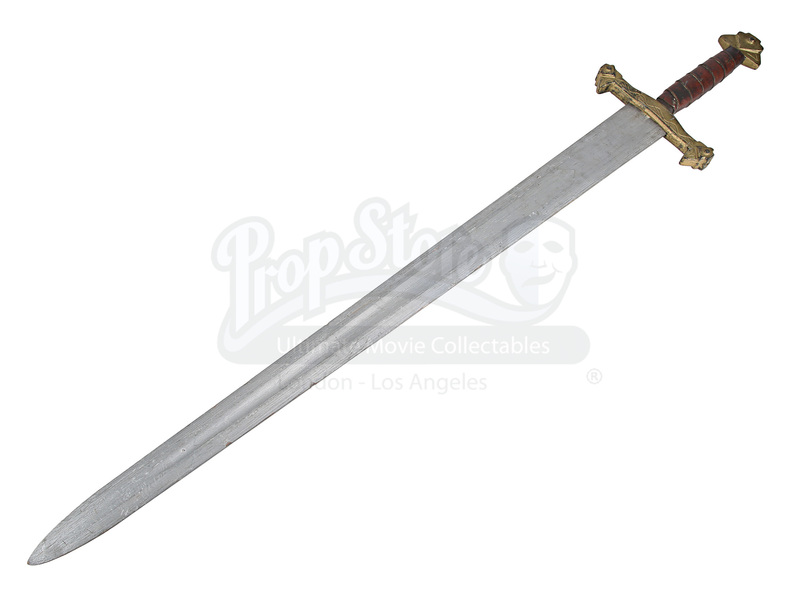 A stunt version of the legendary sword Excalibur from the Starz TV series Camelot. 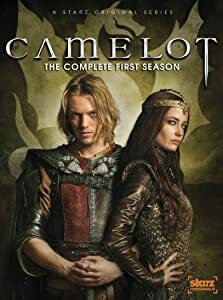 Installed as king after the death of his biological father, Arthur Pendragon (Jamie Campbell Bower), joined by the sorcerer Merlin (Joseph Fiennes) and a band of loyal allies, settles in the abandoned Roman fortress of Camelot, fighting the dark powers of his half-sister Morgan (Eva Green) to bring peace to Britain. 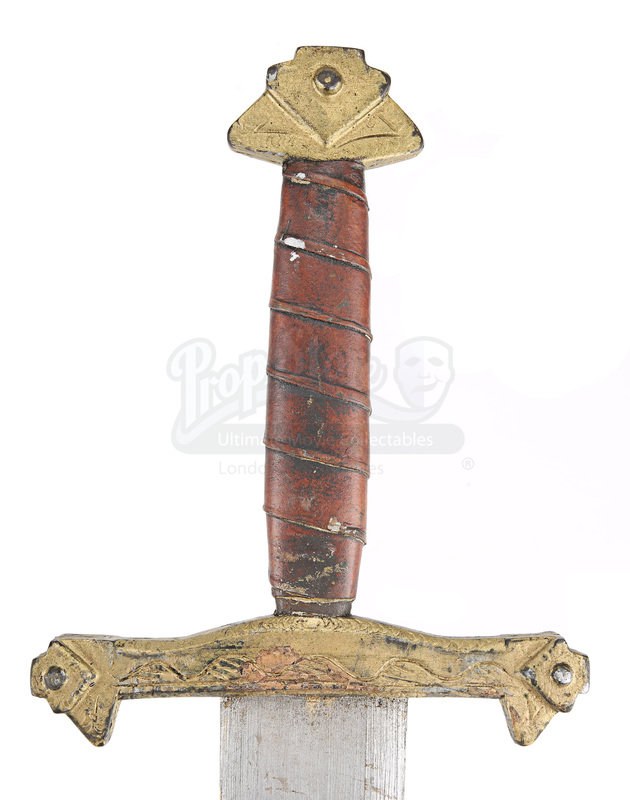 This stunt sword, made by the swordsmith Caliburn (Vincent Regan), is used by Arthur from the show’s fourth episode through to the finale. The sword was named after the daughter of the swordsmith, who sadly died trying to dispose of it in a lake frozen by Merlin. Using the death of Excalibur (Lauren Coe) as inspiration, Merlin weaved the tale of the Lady of the Lake, creating one of the greatest legends in folklore. 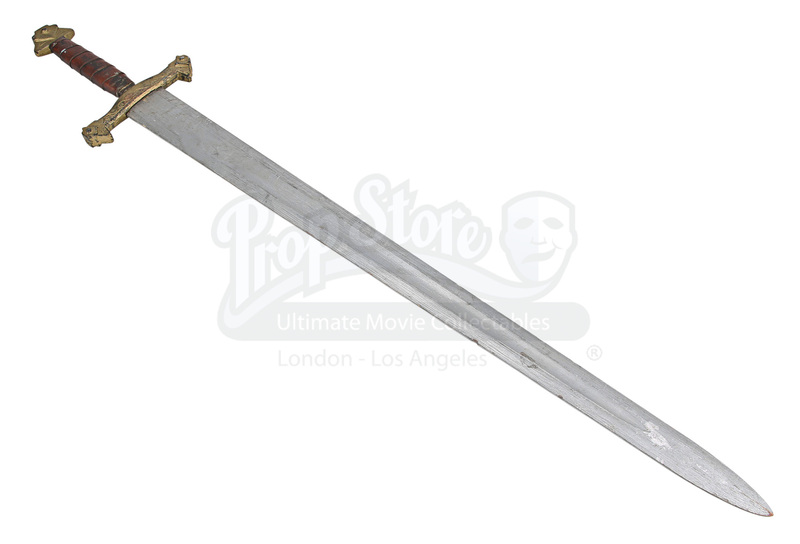 Made of hard rubber to prevent injury to actors during use, this stunt version of the sword was used for scenes where the hero sword was not required. 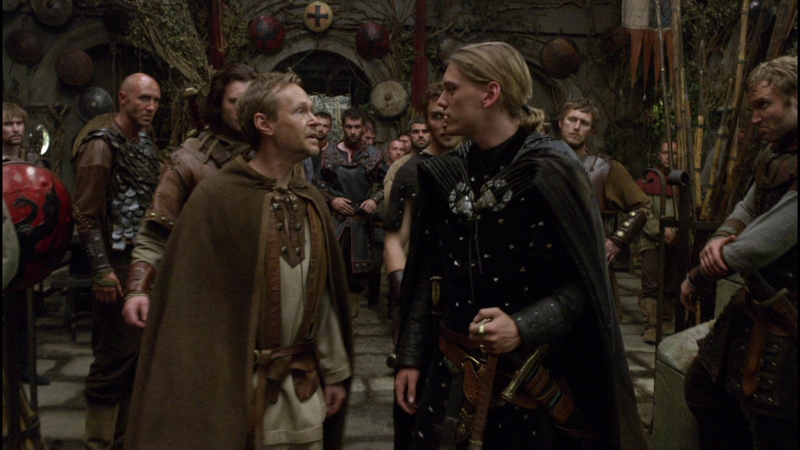 The sword is comprised of a painted silver blade a burnished gold guard and pommel. 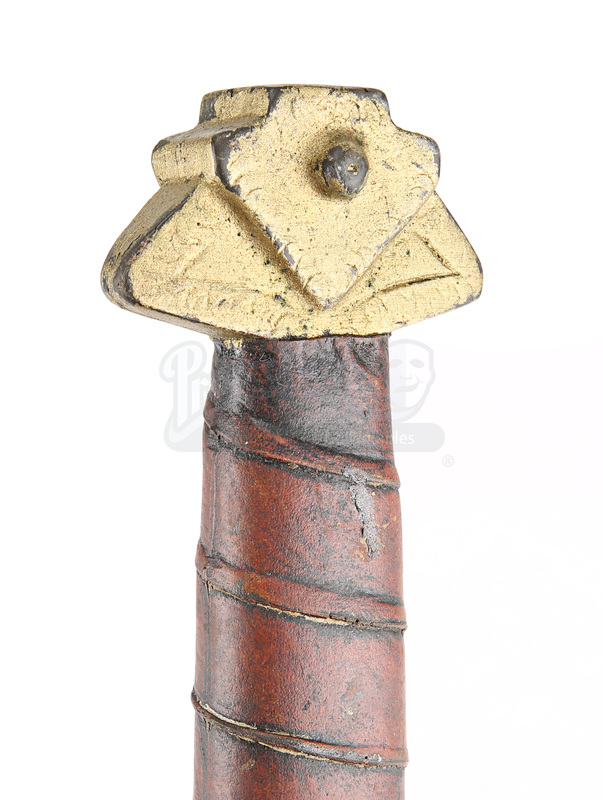 The grip has been made to look like it has been bound in strips of brown leather and an array of Celtic designs decorate the guard. The blade has foil applied to help it catch the light in the low lighting of Camelot. Well-used on the production, the sword features light scratches and some wear to the paintwork of the blade and guard. 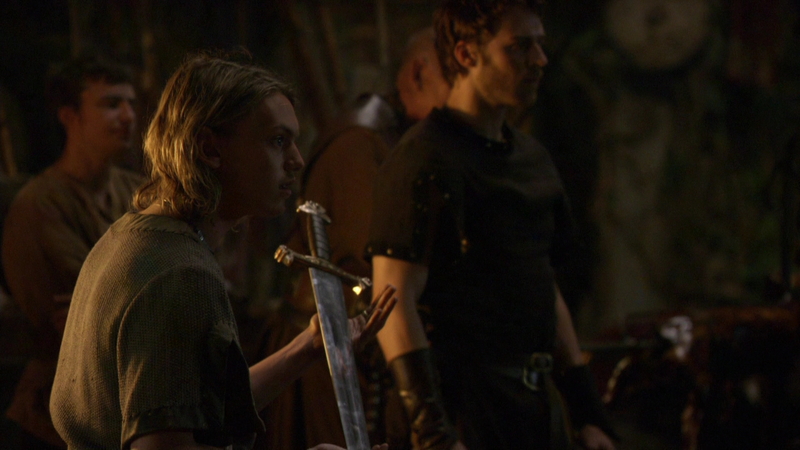 However, in spite of this wear, the sword remains in very good production-used condition.